Jama and Brynn with 2014’s first harvest! Be on the lookout in the neighborhood for groups of young people growing food. Youth Farmers are out and about five days a week in the farms. We are deep in spring cleaning and planting early crops. Before you know it we will have a bounty! 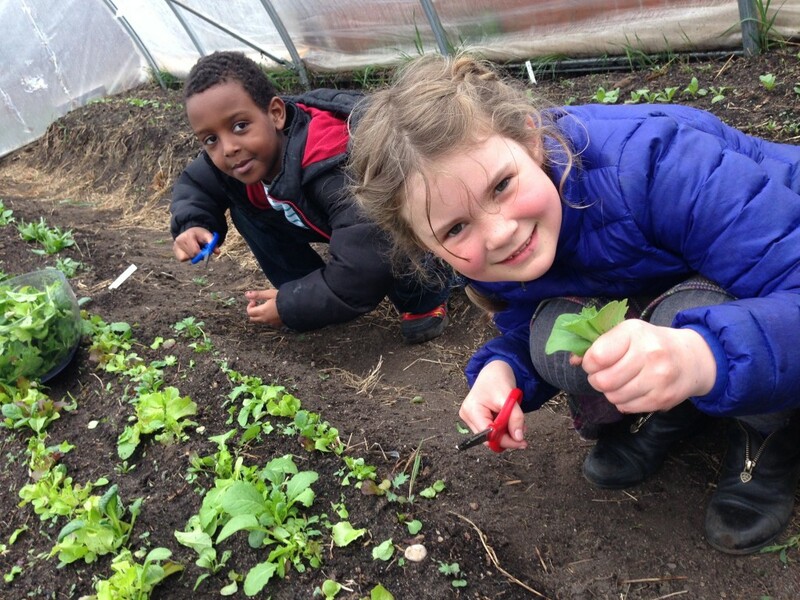 Our hoop house at Lyndale School has already produced several pounds of spinach, radishes, and lettuce mix which has gone directly into after school classes making salads.